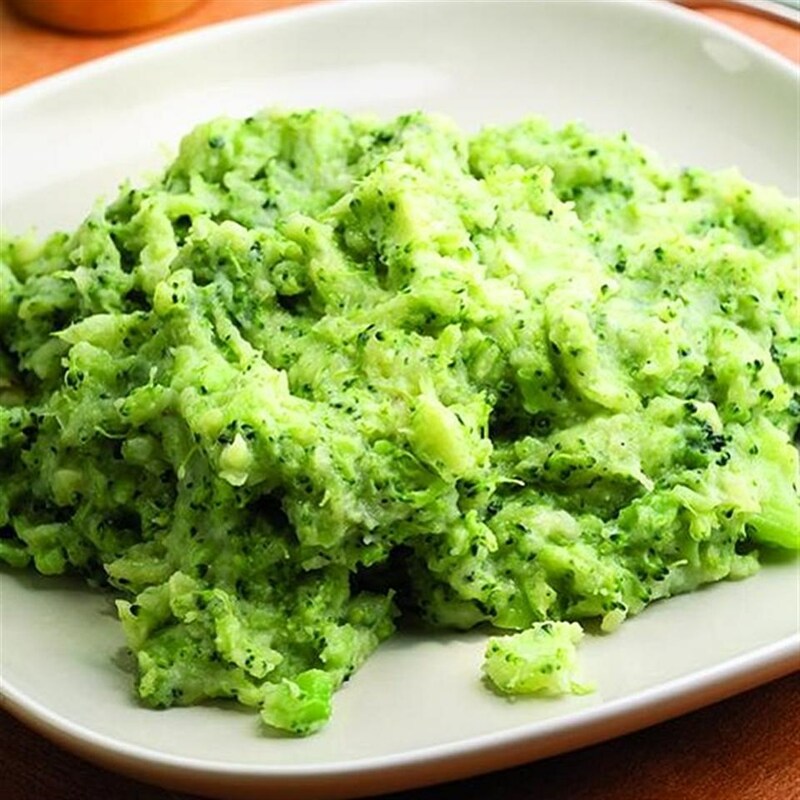 Add some color to your mashed potatoes by adding some broccoli to the mix. The flavor of fontina cheese paired with broccoli is yummy, but any creamy cheese that melts well will work. Bring an inch of water to a boil in a large saucepan fitted with a steamer basket. Add potatoes, cover and steam for 10 minutes. Place broccoli on top, cover and steam until the potatoes and broccoli are tender, 6 to 8 minutes more. Transfer the broccoli to a large bowl and coarsely mash with a potato masher. Add the potatoes, cheese, milk, salt and pepper and continue mashing to desired consistency. Serve immediately.